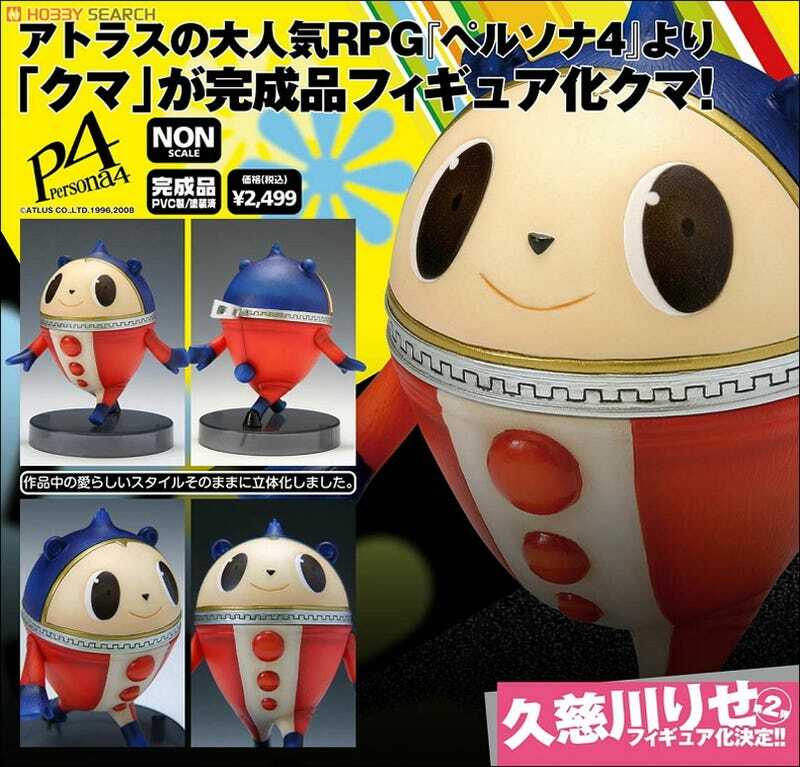 Comic relief character Teddie ("Kuma" in Japanese) from Japanese Shin Megami Tensei: Persona 4 is getting his own figure. Lucky him! Pre-orders are currently being taken taken for the 3.5 inch figure, which is slated for an August release. Looks neat, but does his head come off?